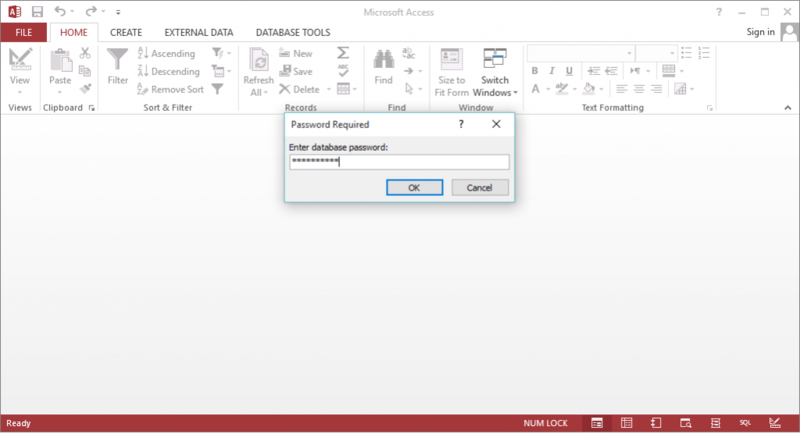 There are so many MS Access users who are confronted with this issue such as lost or forgotten the MS Access database password. Mainly, Access its database into two file formats i.e., MDB and ACCDB. But, most of the users prefer to create and store the Access database into the MDB file format. Alternatively, users make their Access protected as in the case, other users either known or unknown becomes unable to open that protected MDB file. But, often users forgot their password due to its complexity. There are many users who are looking for a free solution to resolve this issue. But, we do not ignore the fact, i.e., there is no manual solution is available to do the same. So, it is better to go with an alternative solution named an Access Password Recovery tool. 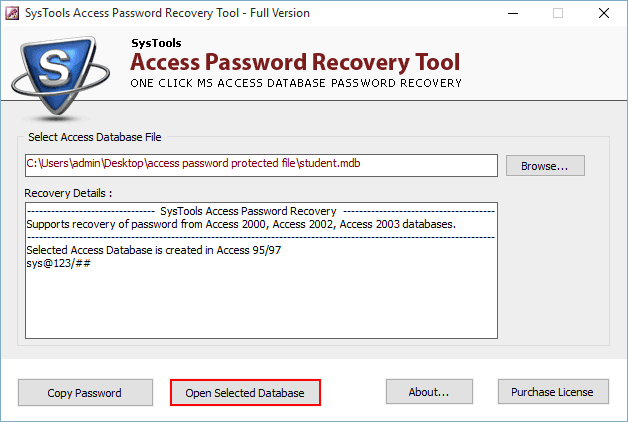 With the help of this software, you can quickly retrieve lost or forgotten MS Access Database.mdb) password. However, this tool is programmed in such a way that it has the ability to recover multilingual or complex Access database password within a few minutes. 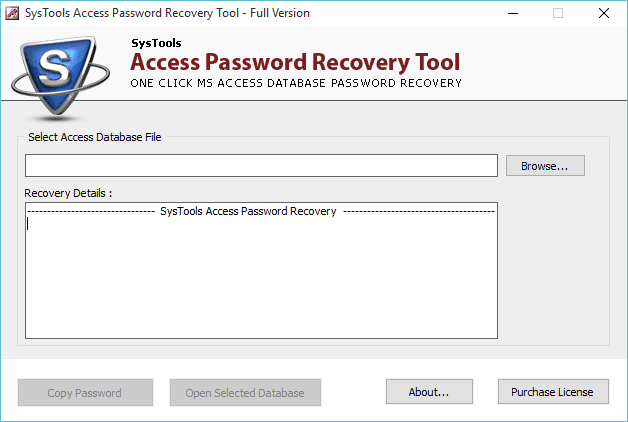 This MDB password recovery tool comes with a self-explanatory interface which helps to easily recover MDB file password and, a non-technical user can also implement the process for the same without taking any external help. Password recovery software does not have any compatibility issue. It supports all MS Access and Windows OS versions. Here, in this segment, you will get the instructions to perform protected MDB file password recovery procedure. Mainly, we will be going to discuss all the steps appropriately so, you have to follow all of them adequately. 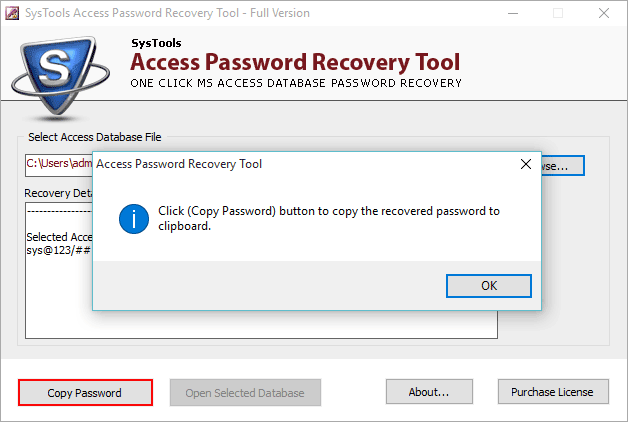 Step 1: First of all, download and run the Access Password Recovery tool to recover MDB file password. Step 2: Now, click on the Browse option to choose the desired protected Access MDB file from its location to unlock it. Step 3: Then, opt the MDB file from its relevant location, and hit a click on Open button. Step 4: Afterward, a dialogue box will display into your screen. Here, you have to click on the Copy Password option to copy the password of the chosen Access MDB file. Step 5: Subsequently, you have to open the protected database by selecting the Open Selected Database option. Step 6: Here, paste the password into the Password dialog box by pressing Ctrl + V keys then hit on OK to open password protected MDB file. 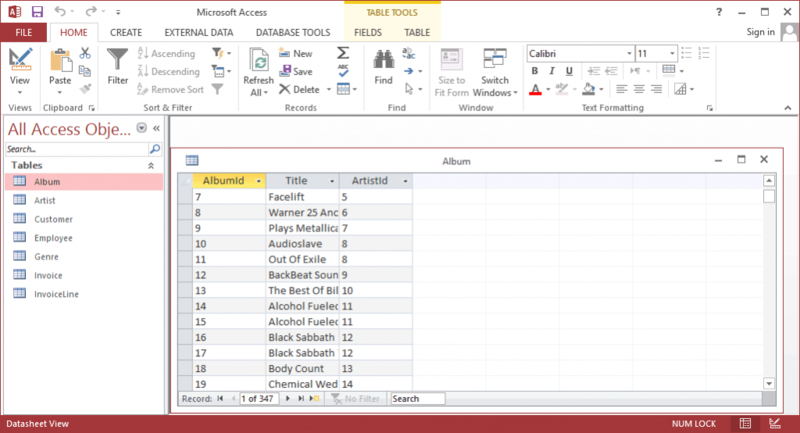 Step 7: Finally, the MDB file will be open and you can view all the data which is stored in a protected Access database. In this blog, you will get the perfect technique to unlock MDB file password. 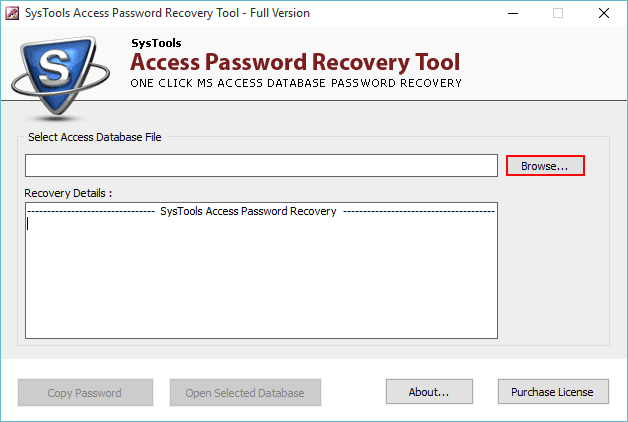 Here, we have disclosed the Access password recovery tool which can easily resolve how to recover MDB file password. Using this software, you can proficiently recover complex Access passwords without wasting spending too much time. But, there are so many tools are already present over the internet. Though, you have to decide to buy the perfect one. So, take the decision wisely.